According to the new Total Audience Report, online video streaming viewers are growing online at an astonishing 60% per month pace this month, whereas TV has declined roughly 4%. And as TV viewers move towards live-streamed services, so do social consumers as well. Connecting with your audience and increasing engagement is essential if you’re to see any results with your video presence. Now, live-streamed vidoes are giving marketers new ways to connect with their audiences in real-time. With live streaming making its way into the business world, industry leaders are turning to these live streaming services to help in other ways as well like SEO. Search engine optimization is what puts your name at the top of search results. While live streaming may not have a direct correlation with SEO, it can certainly help extend social reach and garner social traction in the process. But wait, live streaming can actually directly affect your SEO! It’s true; YouTube Live Streaming can actually boost your SEO rankings because live videos are intrinsically more engaging, and search engines reward you for it. You’re producing news, and search engines like Google will reward you for it. There are several services to live stream. Facebook and YouTube are some of the most popular ways, and they’re fairly easy to navigate. But ensuring people actually watch your live streams is the key to really reaping the most rewards when it comes to SEO. Search engines like Google really love live streams because, in theory, they’re happening NOW. The reward: SEO. If you’re not sure what to stream, then just take a look at your calendar. Big events likely have a large social following already, and you can jump on the topical train by live streaming your presence therein. Make sure to use the event hashtags in your video description as well to ride on the coattails of the event’s social presence, and you’ll see a larger viewership of your video in turn. Then, it’s all about providing some really cool content in your video to make sure more people tune in and more people share. Tip: If you’re live streaming an event, be the eyes and ears for your audience. They’re not tuning in because they’re at the event; in all likelihood, they’re watching because they wish they were there. You’ll get way more views if you’re providing an insider’s look at a popular event. Hooking up with well-known industry leaders for interviews is a great way to tap into their social network and their social presence. With new interviews comes new content as well, which can only help to boost your SEO. When you’re live streaming interviews, you’re able to give viewers a more realistic view of the interviewee. You can also simply turn to your employees and coworkers for short, live interviews to increase engagements. Make the interviews a regular thing at pre-specified times, and you’ll start to see a loyal viewership form. More viewers means more social action. Keywords, titles, descriptions: These are all basics to any video upload, and you can’t overlook these with live streaming either. These tiny tidbits of info are what help categorize your video and can directly impact your SEO boost. Obviously, if you’re using keywords that are extremely topical AND you’re live-streaming in conjunction with that keyword, Google is going to put you at the top of the pack. If you’re using unpopular keywords or none at all, even the most late-breaking news in a live-stream with those parameters isn’t going to be what Google wants to reward. Use keywords in your description but also in your title. Use keywords you want to own earlier in your title. Then, use relevant tags for your video to increase discoverability. 2) Create a new live event. 3) Use the desired keyword as the title and again somewhere in the description. 4) Wait a few minutes. After the event ranks, you can stream the live event with whatever content you’d like. Then drive traffic from the recorded event or the event description. If you’re wondering whether or not this is really a legit way to boost SEO, know that your follow-up is what determines credibility. Adding high quality content to the event (the live stream) will increase your conversion rate and lead to happier viewers/customers therefore more sales down the road. And in the end, even the best SEO rankings won’t make the sales happen — YOU do! Streaming Events: People want to watch live-streamed videos so they can feel like they’re part of the action, even when they’re not present. Big events are a great way to link up with trending keywords while providing desired content to your audience. Streaming Interviews: A little cross-marketing goes a long way, but you can also interview your own staff to give viewers an inside look at your own company. Tending to Basics: Keywords, descriptions, and titles are still part of the game here. Don’t forget to tend to the basics to ensure you’re packing the most SEO punch. 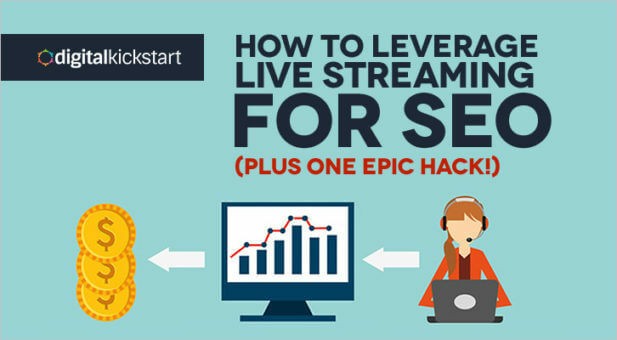 Oh, and don’t forget to try our live streaming SEO hack to get you hitting the ground running. You tell us: Have you tried live-streaming services? Which ones do you use the most? 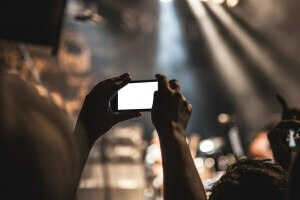 Have you seen your SEO boosted from live-streamed videos?